Saved Over $3,300. - Sold in Just 15 Days. 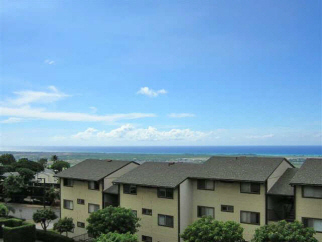 Palehua Villas is located midway up Makakilo drive so it is close to the shopping but high enough to take advantage of the wonderful ocean and city views. The kitchen pantry is built in and the floor plan is open and takes advantage of all of the living space including an inside laundry. This is a great place to get started and a wonderful neighborhood. Savings based on companies that charge a 6% list fee.